Colier tip guler “Peter Pan” intro interpretare foarte chic. Imbraca foarte bine o jacketa din piele, ultrasued sau o camasa alba, o rochie sau un top. 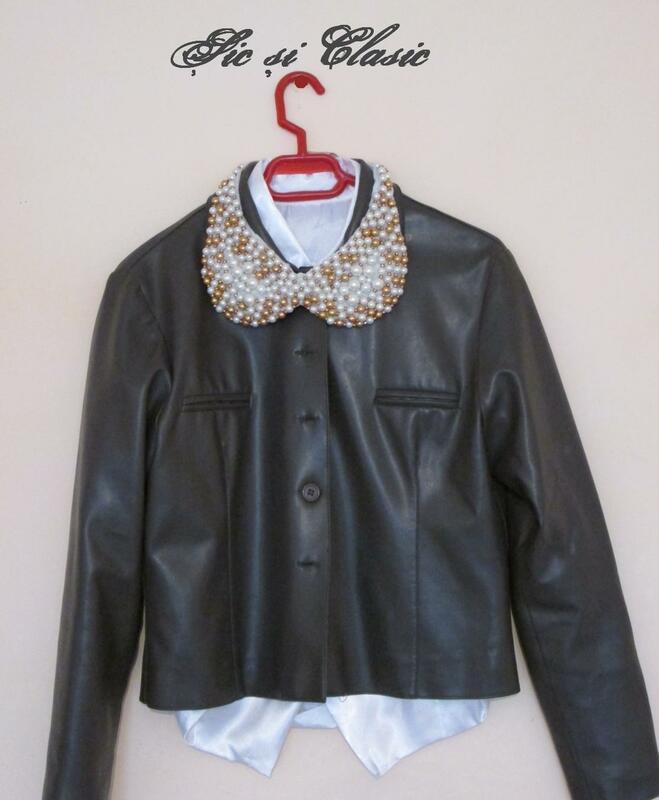 I’m a lover of chic collars myself! Would you mind my sharing these with our friends at Captivating Beauty blog?! This is fabulous. Great job. Thank you for visiting my blog, your work and skill in creating your jewelry is outstanding and reminds me of some wonderful work that was on sale at Christie’s the auctioneers a few months ago. You have an outstanding for creating beauty. A versatile piece that can dress up an ensemble or completely change the look. Nice work! Thanks for visiting my blog!! I love the Peter Pan collar! It adds instant luxury to any outfit. I especially love it with plain collared shirts. Great piece : ).